Introducing new leaders and old film textures. For the first time we are offering unparalleled natural-like 'scratch on film' transitions, purposely manipulated to create striking edge wipe effects with a retro touch.... To purchase these clips individually, click here. Read the NLE Ninja review here. *Download links will be emailed to you, if you have not received it in your inbox, please check your spam folder, links expire after 24 hours. **Clips MUST be exclusively viewed and used inside an editing or compositing application, see manual for more details. ***FFX2.0 Library is accessible with the purchase of LVFX Platinum. This new release includes longer and even more flexible effects, allowing the user to select either a portion or the full length of a given transition. 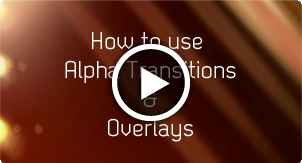 Film FX Transitions Pack 2.0 can be purchased as a bundle or individually. Click on the thumbnails below to get a preview of each Fim FX 2.0 clip. Clips are low resolution and should only be viewed as a sample, please download the demo clips to get a better idea of the quality. The current date and time is Tue 23rd April 2019 :: 02:12:57 at Luca Visual FX Studio in London.